When I graduated from the University of Florida, living at home with my parents was not where I expected to find myself. With my degree in industrial engineering, I had envisioned starting a career immediately. But instead, I found myself job-less, stressed out, and mailing lots of resumes. In fact, being jobless and frantically sending out resumes is standard practice for most recent college grads these days. If you’re in this position, it’s hard not to let it get you down – but while the job market is struggling, you’re not entirely out of luck. Here are 10 tips to survive, stay on track, and get ahead of the competition. Don’t be upset or surprised if you don’t have a job by graduation day. It is important to stay positive and continue your search. One way to maintain a positive frame of mind is to remind yourself how far you have come already – just like the challenges you faced in school, you will overcome being unemployed. And remember, it’s important to set aside at least an hour each day to do something you really enjoy. Take a jog, read a book, or spend time with your friends and family. This can go a long way to help you maintain a positive attitude, which could be the very thing that lands you a job. If you don’t have an income, you need to reduce your expenses. And since you don’t know the duration of your unemployment, start eliminating expenses quickly to avoid depleting your savings and building up debt. Move Back Home. Moving in with your parents has huge savings potential. Many parents don’t charge their children for rent, utilities, or even food. In fact, when I moved home after graduation, my parents looked at it as their last opportunity to provide for me financially; it was a kind of college graduation gift. It was also nice to receive encouragement and emotional support from my family during that challenging time. Just be sure not to mooch off your parents. Also, do something in return for their kindness, such as cleaning, cooking, and mowing the lawn. Defer Student Loans. To defer a student loan means to suspend loan payments temporarily. There is usually an automatic grace period of six months before you have to start paying back student loans upon graduation. However, if you have trouble finding a job, six months may not be enough. If you find yourself in this situation, defer your student loans until you have an income. Put Yourself on a Budget. One of the best ways to save money is to conserve it by implementing a personal budget. Determine the amount of money you have and how much you can spend each month for a specified period of time (perhaps one year). Then, limit your spending to that amount of money per month. Consider putting away your credit cards and using the envelope budgeting system if you tend to over-spend. Professional networking can really pay off during a job search. Often, it’s not what you know, but who you know. College Alumni Associations. Being a recent graduate, you may receive phone calls and mail from your college’s alumni association asking you to join or donate money. Join if you wish, but more importantly, find out if there are functions you can attend to meet other alumni. People love to work with fellow alumni, and you may be able to find an “in” via such a connection. Networking Events. Search online for networking events in your community. Once you begin attending these events, you may receive information for others not listed online. Career Fairs. Career fairs are becoming increasingly common, and they can be hosted or sponsored by a school, a company, or even a city. Keep your eyes open for opportunities by checking online, in newspapers, and by watching the news. Professional Organizations. Similar to college alumni, many people relate well to those who are in their professional organizations. In fact, it was via a professional organization (the Institute of Industrial Engineers) that I found my first job after graduating. Even if you don’t want to network, join a professional organization and attend a few activities in order to update your resume with current industry happenings. Conferences. You can meet many people by attending a conference for your profession or industry. Individual conferences are typically held once per year, and can be held anywhere in the country. The cost to attend these events is often high, but if you leave the conference with some job leads, it could make it worth every penny. Job Shadowing Opportunities. You can get a taste of a day in the life of a working professional by job shadowing. Even if the company for which you shadow does not have a current opening, they may remember you when they do have one. Check for job-shadowing opportunities with your college or local chamber of commerce. LinkedIn. An increasing amount of people are finding jobs via social networking, and LinkedIn is the social network designed for professionals. LinkedIn allows you to display who you are, along with your degrees, experiences, and what specific line of work you are looking for. This may not be ideal if you’ve been looking forward to working. However, if you were planning to eventually earn another degree, it might be best to simply get it out of the way, during which time the economy can recover. On the flip side, if you were not planning to get another degree, don’t jump into a costly academic program out of frustration. As you know, earning a degree takes a lot of time, money, energy, and determination, and it’s not worth doing just to have something to do. While looking for a job is often a full-time job in and of itself, don’t put your life on hold because of it. Pick up part-time work at a temp agency, pursue your hobbies, or learn something new. You may even want get additional training or licenses to benefit your career. It took me seven months from the time I graduated to start my first job. I later realized that I had kept my job search too narrow by looking in a limited area, within only certain industries, and for one that required minimal travel. Had I been more open, I believe I would have found a job much more quickly. 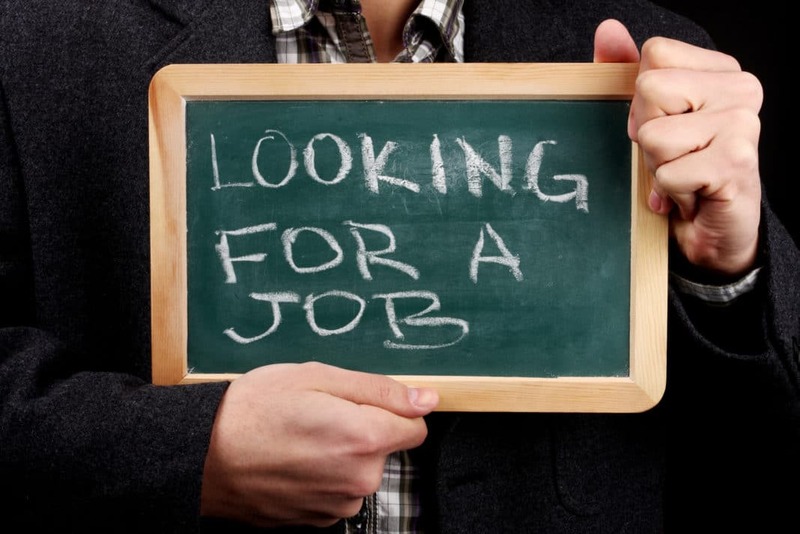 Consider broadening your search to find a job quicker and especially if you’ve been looking for several months. Open yourself up to more locations, industries, career types, and entry-level positions, even if you qualify for a higher level job. Focus on getting your foot in the door, and try not to be too idealistic. Every time you interview and are overlooked for the job, ask the interviewer what skills they recommend you improve. If you struggled answering the interview questions, ask a friend or family member to help you do mock interviews. This will also improve your confidence. In some industries, it is common for a recent hire to work an unpaid internship before becoming a paid employee. If you are unable to find a paid job, consider this option as a way to gain experience and network. You could have yourself a paid job before you know it. Another option is to volunteer for an organization such as the Peace Corps, Teach America, or AmeriCorps. Keep in mind that it takes time to be accepted as a volunteer, and these organizations require a commitment. For example, my sister joined the Peace Corps – the volunteer acceptance process took nine months, plus she had to commit for two years and undergo three months of training. If the corporate world isn’t working out for you, take matters into your own hands by starting a business. Focus on an area in which you have a great deal of knowledge – for instance, if you are good with computers, a repair shop may be the perfect business to run out of your house. Consulting companies are also low-risk endeavors that require little start-up capital. If you have a passion that you would like to share with the world, write about it and see where it goes. For instance, healthy cooking, personal finance, sports, couponing, and new technology are all popular topics online. It will take work and dedication to develop your blog, and it will take patience and smart social media marketing to build up a readership – but over time, you could find yourself with a dedicated following and a solid source of income. Since I got a job, my life hasn’t slowed down. And while I have enjoyed every bit of it, I doubt I’ll have as much time off as I did after graduation until I retire. I regret giving into the stress of the situation and not taking advantage of it. If you are currently a graduate who has yet to find a job, know that with diligence and an open mind, you too will find one. Keep your head up, stay positive, and enjoy the “time off” as much as possible. What other tips can you suggest to college graduates struggling to find a job?